Do you have a new puppy in your home, or are you thinking of taking on a young dog to live with you? How you introduce a puppy to new experiences is an important job that needs some thought and research if you want it to grow into a well socialized and friendly adult dog. A puppy can be easier to socialize than an adult dog that has already learned a fear based reaction. In this article you will learn some of the experiences that your puppy will need to go through in order to prevent a nervous and fear based reaction later on. A dog will be happier to accept new and sometimes unnerving situations if they are introduced in a positive manner. By using treats, play and your own confident unfazed reaction you can teach your puppy that new experiences are fun and nothing to worry about. Read on for some useful tips about the importance of socialization to a new puppy. Before your puppy is vaccinated and ready to go out walking it is worth speaking to your veterinarian on whether it’s wise to carry your dog into populated areas. Some areas have high levels of infectious disease and others are lower risk, your vet will be able to let you know how dangerous it would be to socialize your puppy by carrying him outside of the home. It is beneficial to a puppy to broaden his social experience from as young an age young as possible. By doing this you will be decreasing his sensitivity to new experiences, unusual sounds and other things that could be deemed frightening if not experienced early on. Good and ethical dog breeders will introduce puppies to household sounds, children and as many new situations as possible from the day that they are born. It is also possible to buy desensitization soundtrack to play in the background at home which will gently acclimatize your puppy to the sounds of traffic, fireworks, thunderstorms and many other sounds. When your puppy is protected from disease by being fully vaccinated take him to as many places as possible. Open days, barbeques and busy parks will all provide a puppy with social experiences. Make each of these experiences positive for your puppy by offering treats and ensuring that you don’t put him into a position where he feels fearful or threatened. 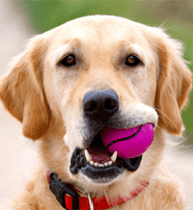 Many veterinarians offer puppy classes that get a group of young dogs together for games and crucial canine interaction, under careful supervision. If possible it is certainly worth attending a class such as this. 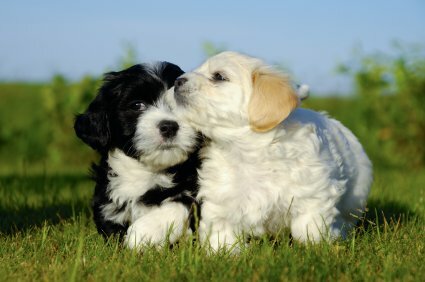 By meeting and spending time with a broad range of people your puppy will learn that such an experience is pleasurable. Contact with people of all ages that offer physical attention and small but tasty treats will create a confident and happy dog. Canine interaction with other dogs is paramount to ensure that your puppy learns to interact and respect others of his species. Many dogs that have fear based or aggressive reactions to other dogs were simply not socialized from a young age. Preparing your new puppy for his lifestyle includes introducing him to grooming and possible vet treatments. This preparation involves handling him all over his body including looking in his eyes, ears, mouth and touching him all over including his paws. Do this every day and make it a fun and rewarding experience. You can do this by offering a reward of either physical and verbal praise or a small food reward to reinforce regular relaxed handling. Regular handling and grooming of your puppy will prepare him to be a relaxed dog when he is being treated by the veterinarian or yourself. By checking his ears, eyes and teeth regularly you will teach him that this action is nothing to worry about. Later on if you do have to put in ear drops or similar your dog will welcome the action far more than if you had not regularly carried out the action of looking in his ears as part of his daily routine. Regular handling prevents an issue when treatment is necessary by showing your dog that there is nothing to worry about. So by realizing your puppy’s social needs and meeting them as he develops into an older dog you will be helping him to become a confident, friendly and secure adult dog. Register to the forum and begin to talk to thousands of other dog owners, you are sure to find a lot of good and positive advice on raising your puppy.